This week the Horror Duo celebrate the New Year with an all singing, and all dancing edition of the show. 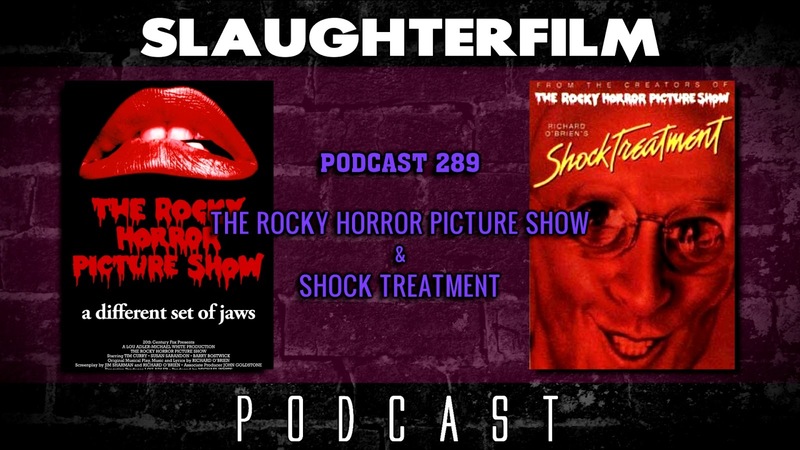 Forest discusses the making of and the not so supersize cult success of The Rocky Horror Picture Show. Cory follows that up with Rocky Horror's less popular, but more satirical sequel Shock Treatment! Forest chats about playing English Exchange with his brother. Cory finally sees the strange, insightful and very divisive film Mother!. The two chat about David Lynch's Fire Walk with Me. All this and Cory encounters a horror fan on an escalator, and they pass gently like two ships in the night...or something. For more Slaughter Film news and reviews, as well as show notes and special events, make sure to visit our website; SlaughterFilm.com. 18:06 - "The Rocky Horror Picture Show"